23. Handel - Messiah / Ameling · A. As a wedding officiant, my wife and I are often asked to assist the couple with other services for their ceremony, such as music. For this, we have a very large selection in our music library to choose from. 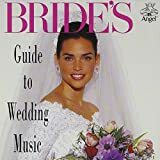 We have put together a catalog of cd's that we loan out to the couple for their review, and most often, their selections come from BRIDE'S GUIDE TO WEDDING MUSIC. 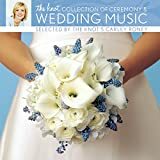 This is a great compilation, CD, along with Bride's Guide to Wedding Music Volume 2, to use as a reference for some of the more popular wedding songs; just about everything on here is standard fare for weddings. All of the musicians are generally superb, and the sound quality is very good. However, this is most useful if you are playing the CD at your wedding, or using it as a reference CD to talk over potential music selections with an organist, a string quartet, etc. Like my review for Volume 2, I only gave it four stars based on practicality, not on quality. If it were just quality, I would give it five stars. I purchased this CD since I am in the process of making my own wedding CD (I am a professional, freelance violinist), and this was nice to listen to, even just as background music for dinner. BTW: beware of reviewers who don't use their names, especially "A music fan." This is most likely the producer of the "Wedding Traditions" CD and he slanders other CDs so his will look better. You'd think that in the wedding music business people would have better ethics, but unfortunately, that's not always the case. The best advice I can give, as a classical musician myself, if to take time to listen to the sound clips, and if possible, try to find them on iTunes where they might sound higher quality. This is the only real way of knowing whether the CD is right for you. This is a very nice CD. This is not your usual Messaih. It is the first London version of 1743.Therefore several numbers are markedly different from the more familiar versions usually performed today and almost incised upon our memories and minds.There are cuts, additions and scorings for different voices.The Bass air no. 6 lacks the alto section.The usual duet no. 20 for Alto and Soprano, ( He shall feed his flock) is here only as an Alto aria, etc.There are many other variations and cuts and additions with respect to the usual presently performed versions. 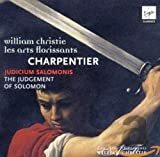 For my tastes the Solti recording with the Chicago Orchestra and chorus with the exception of the slightly harsh voice of the Alto Gjevang is preferable for modern tastes.I would recommended this recording if you are interested in this early version. First of all, what the other online reviewers here fail to realize is that this is Handel's 1743 Covent Garden premiere Messiah score , NOT the "final" version. So, those looking for the familiar choruses, solos, etc. will be very disappointed and should probably seek another recording. 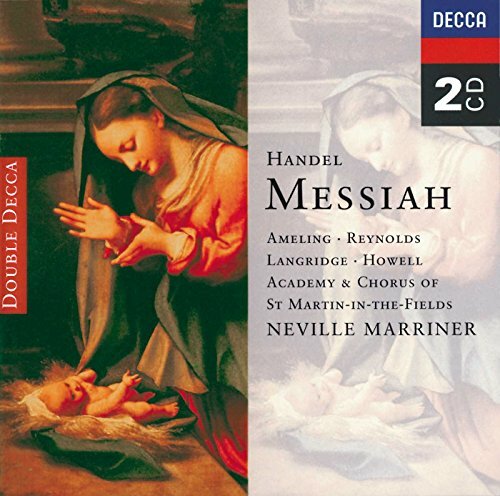 Neville Marriner's first recording of MESSIAH, recorded in 1976, is without a doubt his best recording of the work.Marriner recorded Handel's most famous oratorio with his Academy of St. Martin in the Fields for Decca, and it is not to be confused with a later German language version from Munich for EMI, or a 1992 live concert (Philips) with soloists who were not on the level of the 1976 Decca recording. a perfect Ceremony of Carols! This is the finest recording of Britten's A Ceremony of Carols I've ever come across, and there are plenty of versions to choose from. The King's College Choir rendition suffers from overstuffed acoustics, a constant with that choir, and their recording of Ceremony of Carols falls short in the requisite rhythmic clarity and intensity. The Christ Church, Oxford version is plodding, and lacks sparkle. Harry Christopher's The Sixteen come close, with marvelous sonics and ecstatic diction, but fall apart in the exacting 'This Little Babe' round with uneven cohesion, and strange stressed notes that ruin the waterfall effect so felicitously construed by Britten. I've not heard Britten's own conducted version, but he scrupulously insisted on boy trebles, and it's difficult if not impossible to conjure a more perfect rendering than the one given here by Shaw and his Chamber Singers. 'This Little Babe' is incomparable in each and all of its rapid fire contours, which is no mean feat. Mezzo-soprano Nanette Soles deserves special mention for incandescent singing on 'That Younge Child". The luminous pacing of 'There is no rose of such virtue' is notable, and to his credit Shaw employs the ecclesiastical pronunciation of the various Latin passages, unlike The Sixteen (and most other English choir recordings of this piece) who insist on an idiomatic British pronunciation of Latin, which offers nothing but distraction. Some will prefer boy treble singers, an attractive option, but for high musical values and the art they inevitably enshrine, it's impossible to be disappointed with this profoundly wrought version of Ceremony of Carols. Bach's 'Break Forth, O beauteous heavenly light' is just right, and I'd not heard 'Heavenly Light' by Aleksandr Kopylov; both are favorable additions to an excellent recording. Recommended. 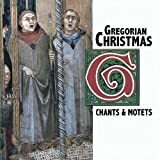 This is an absolutely outstanding collection of carols - some of them well-known, some of them obscure. 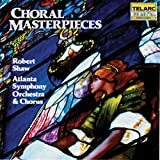 As a choral singer, I've had the pleasure of singing many of these pieces, and I was delighted when I found them all in one place, and done by an ensemble so accomplished as the Robert Shaw Chamber Singers! 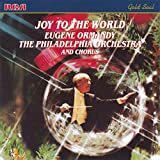 It just isn't Christmas for me without this recording. This is a very great chorus, and one of Haydn's best as far as i am concerned. The pace, grandness and spirit of the piece all conjure in one's imagination the majesty of heaven, and God's throne. I cannot help but be moved to praise the God of the heavens and the earth. I came home from work one day when my uncle was visiting my wife and myself.He was recently retired from the ministry.He had heard a lot of choral music in his life.My aunt said he had the stereo ( power end of my stereo at the time was an Adcomm 555 amp. conservatively rated at 200 watts RMS per channel)up so loud it was rattling the whole house.I too have come to love this music.I mostly listen to rock and roll; butthe way my uncle, and now I, play this thing, it is rock and roll from another era!!! Sir Robert with ASO and Chorus at their Best! 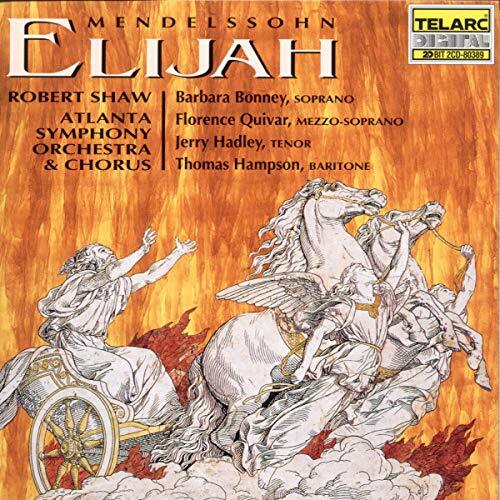 Okay, I'm gonna admit I'm biased- I first sung in the chorus of Elijah when I was 14 and it made a BIG impression on me! Why mess with the words? Robert Shaw certainly is the choral master and this powerful story is well "acted" by soloists and chorus.That said, I don't understand why Shaw changed the words in so many places.He wasn't updating King James English (i.e., the verbs still end in "eth"); there's a bit of generic "they" instead of "men" but that isn't consistent. "Baal, we cry to thee" becomes "Ba-al, answer us. ""Draw near" becomes "O come. "In some places it just loses the poetry and becomes flat prose - for no obvious reason.Or he substitutes another verse of Scripture!The cd notes include nothing from Shaw himself so it's a mystery.I sang along with my old score and, frankly, some of his changes don't flow nearly as well as the older versions -- or maybe I'm just being picky! Having sung in this oratorio many times (both the contralto, and the soprano solo parts) I was very familiar with the work. What hit me first in this recording was the WORDS were not the same as those I had sung so many times. It was sort of a jolt. Instantly, that made me wonder what was going on, after all, didn't Mendelssohn write this oratorio in English. Well, he did, but it was an English translation of the German libretto which came from the German translation of the Bible. We were all used to those words, and they have taken on special meaning. There have even been recordings of the past that gave the scriptural cross references to those lines. Well, what has happened here is the conductor and others have actually gone back to those scriptural references and made sure the words sung are those found in our King James Version of the Bible. As a guitarist(mostly metal, neo-classical, rock, and blues), I have always been seeking that one 'classical' album that is just guitars working out entire orchestrations; no violins, cellos, etc(nothing personal, mind you...). This is that album. 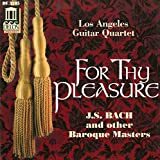 From the subtle to the intense, these 4 players work effortlessly together, putting together some faithful and authentic renditions of some familiar(some not so familiar)classical pieces. I was amazed at first just by the blinding technique, but began to appreciate the much more hidden aspects of this CD on multiple listenings. It has inspired me to look into a whole new style of playing. This is a really good starter CD for someone like myself who is just looking for some nice classical guitar ensembles. How can one lose with a cast like this? 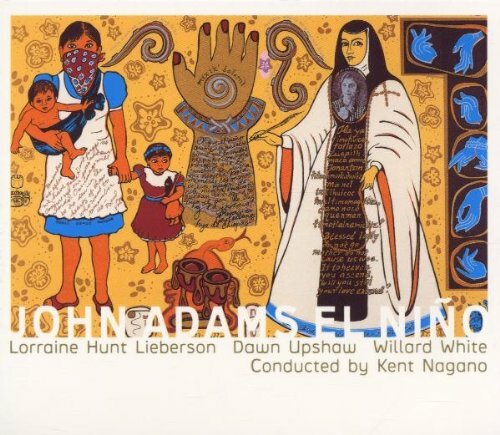 Adams' El Nino is what the Florentine Camerata would have produced in 1698 if film projection had been available! Unfortunately, Peter Sellars' staging, with film, can't be shared here, but it can be imagined because of the music--relentless on the one hand, soul-fully lyrical on the other--inspired by literary sources drawn from a wide variety of sources. Not opera. Not oratorio. But exciting and unique. Having first experienced John Adams' 'El niï¿½o' a couple of years ago fully staged by Peter Sellars and heard/seen more as a spectacle of video and quasi-choreography with the performers on the stage and the orchestra in the pit, this listener came away humming the visuals of bonfires on the beach with a Latino Holy Family: impressive evening but filler for a seemingly slight musical work. So why buy the CD set? Because I am a strong admirer of John Adams' work and felt I should give it more of a chance than a casual witness to a Christmas spectacle. 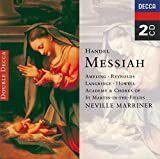 This is a tremendous recording of what may be the best of the many versions of the Messiah.It is a little known fact that Handel often modified his Oratorio depending on the singers who were to perform it.For the Messiah lover, this recording of The Foundling Hospital version, offers a vast array of surprises, from the very rapid tempo to the voice parts that sing some of the pieces.Additionally there is a modification of the order in some respects and some seldom peformed parts are included in this recording.All this is due to the unique nature of the Foundling Hospital version of the Messiah:how many of us have had the pleasure of listening to a performance of the Messiah with male altos in the chorus.It is a unique sound.It is crtainly a tribute to the Academy of Ancient Music that they were able to perform this piece at what is a blistering but exciting tempo.This is an absolute must have if you love the Messiah!I played this recording for the concertmaster of the Syracuse Symphony and he was quite taken by the challenge of the tempo and the beauty of the music and singers. Opinions of a 17-yr-old Baroque lover. I think that this is a wonderful recording. The boychoir is excellent and the bright, clear sound is wonderful for the Messiah. The tenor is excellent, with his clear, delicate vibrato and wonderful diction. And Emma Kirkby is, of course, brilliant as usual. I have only two problems with this piece. First, Hogwood occasionally takes the pace a tad too fast. Yes, Baroque is usually tempo giusto, but sometimes allowances must be made for dramatic qualities. Secondly, the alto sounds very affectatious and her heavy vibrato is not at all appropriate for Baroque music. It is sometimes hard to tell whether it is a man or woman singing. However, it is, overall, the best recording of the Messiah that I have ever heard and I strongly recommend it. A superb recording re-creating a specific performance of 1754 from 1980. 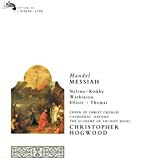 It surprises many people to learn that there is no definitive version of Handel's "Messiah".Everyone knows the version they heard growing up, or the version they sang when they were younger.However, the scholar trying to put together an historically informed performance of this most important work is faced with many choices and even more questions.Do you use the score he wrote in 1741 but never performed, or the adaptations he made for the Dublin premier.Or maybe you want the version used for the London premier in 1743.If you do, you also have to reconcile that with the reality that Handel later abandoned these additions and changes.While the work settled into a more less standard form in the 1750s, Handel still made changes based upon the singers and players available.These are just the beginnings of the alternatives the scholar has to consider. ...BUT not if you take it SO seriously that you have lost your sense of humor. For the classical music lover, this is an amazing spoof.For those who do not know classical music well, this is still highly entertaining. 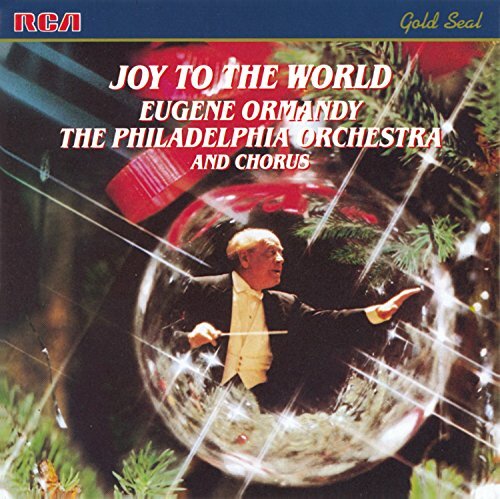 Christmas music done in Ormady's rich "Philadelphia Sound"
"Joy to the World" has Eugene Ormandy with the Philadelphia Orchestra and Chorus providing a rich selection of Christmas songs, both classical and traditional, arranged by Arthur Harris.It is the former that are most impressive, although there are fewer of them, starting with Mendelssohn's "Hark! 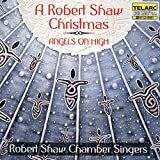 The Herald Angels Sing" and Tchaikovsky's "Waltz of the Flowers" from "The Nutcracker," then ending with Bach's "Jesu, Joy of Man's Desire," and the "Pastoral Symphony" and "Hallelujan Chorus" from Handel's "Messiah." I'm a lover of traditional Christmas music and I've acquired about 20 CDs of it.There's nothing my family likes better in December than putting on some good Christmas music and getting in the mood for the season, hearing once again the old favorites you've known since childhood.Of all the Christmas music CDs I've tried, I have two desert-island favorites, the two I always reach for first.This is one of them.I think it's one of the greatest recordings of traditional Christmas music ever made.The arrangements (by Arthur Harris) are joyous, beautiful, and soul-stirring; the performances are heartfelt and magnificent.If you can listen to this CD and not feel filled by the Christmas spirit, you must be (a) named Ebeneezer Scrooge, or (b) deaf.This one is a timeless Christmas classic, not to be missed.Warmest recommendation. I was assigned to sing this piece for my chorus class and when I heard it, I was just blown away. I'm not a believer in God, but it truly has a huge impact. The solos were especially mind-blowing. 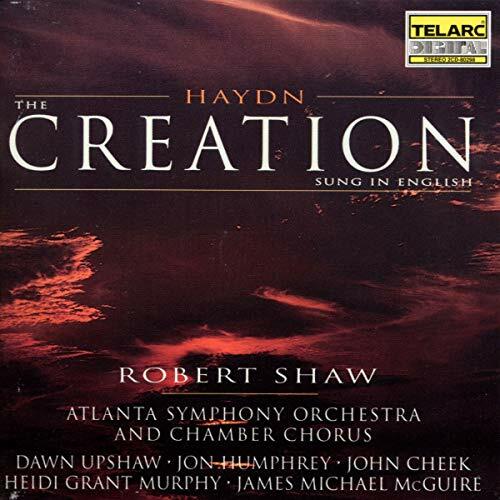 I looked around for a new English language version of Haydn's "Creation" to use for practice before I sang in the chorus for my local choral society's performance of Haydn's "Creation" earlier this year. 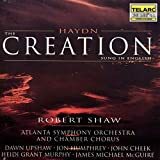 I am not naturally drawn to Robert Shaw or his work, having been disappointed by him in recordings of Poulenc, Bach, Penderecki and other composers. I've loved Kiri's voice ever since I first heard her sing. She has such amazing control over that gorgeous instrument of hers. This truly is the best of Kiri Te Kanawa, although pretty much everything she lends her voice to is perfect. The highlights of this album for me are: Dove sono...this is the most perfect and complete rendition of this lovely aria that I have ever heard. Period. Ave Maria...sheer elegance. And her crowning High B in this song is breathtaking. Ecco: respiro appena. Io son l'umile ancella...absolutely stunning. Just the opening word "Ecco" alone is stunning. The rest of the aria is no less perfect. Chi il bel sogno di Doretta. This may be my favorite on the CD. I never really cared for this aria till I heard Kiri sing it. Beautiful beyond words. Especially her ethereal High C. This album is worth buying just for those songs alone. So basically, if you want to hear divine singing, buy this album. I think Kiri has a beuatiful voice, she is never overtly dramatic, but the people who call her the "church soprano" should hear this album. She can sing sacred music better than many other opera stars, but she is so great as Countess in Mozart's Figaro. 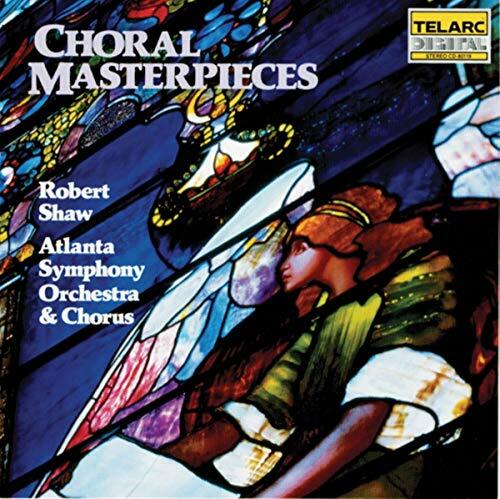 This is a great collection of many different pieces, from operas, sacred works, musicals, all sung with lots of feeling. Let The Bright Seraphim is the aria she sang at the wedding of Princess Diana and Prince Charles, it is such a splendid performance. 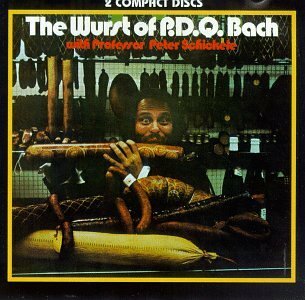 My favourite piece on this album is probably Mozart's Laudate Dominum, but there are no disappointing songs here. Her voice is so warm, and she really gets involved with the text. 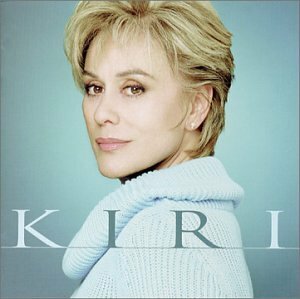 If you are a big fan of Kiri, you should get this collection, it is such a nice selection of her greatest hits, and it is a very good introduction for new fans. I admit straightout to know nothing of opera - the cd is my first of its kind. Knowledge, however, is not required to enjoy this cd, only the ability to listen and feel. 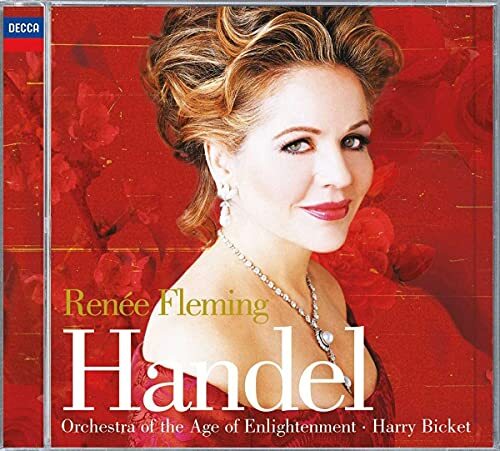 While it's not the most thrilling Renee Fleming album in the catalogue, her interpretations of Handel pieces is quite an accomplished feat, but when compared to her earlier efforts, rings hollow with it's lack of emotion.As other reviewers have noted, Ms Fleming does not sound like she is in complete grasp of the material, and her performance lacks any real depth or dramatic weight. I am utterly in love with Renee Fleming's voice and I am very glad that she returned to her roots in this luminous Handel Recital. While her fioritura is not as excellent as Sutherland's she surpasses the Australian with her sincerity and sense for drama. Not one word is sung without attention, her silken voice sound absolutely radiant here. I also noticed that she is singing more precisely and elegantly here, giving Handel a dignified elegance, yet passion that it hasn't had since Ferrier (Who was an alto but she still reigns supreme). It is definitely a step in the right direction. Brava Miss Fleming! This recital is mostly very bland and boring, with Fleming's Baroque vocal technique lacking in many ways. The play list is correct, the one with the ability to listen to clips.This CD has 14 tracks, beginning with "Puer natus est nobis" (the Introit) and ending with "Magnificat anima mea Dominum. "The list that says ON THIS CD is a totally different list of chants.I do not know what it is doing on this page. 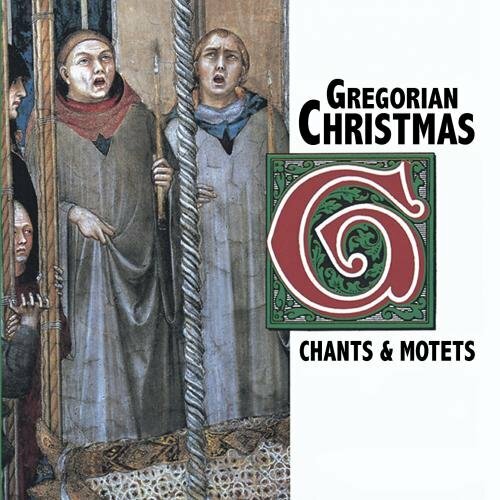 Not technically Gregorian, because of some polyphony. But this is one of the best selections of this kind of music that I've heard. Compare to expensive monastery or convert CDs, and others, and this is one you put on the CD changer more than the rest. Found it in a bargain bin at Fry's. Amazing CD. 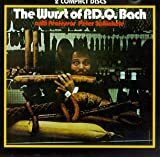 Great solid basic collection, a real bargain with mostly outstanding performances.Having played several in bands and orchestras and sung one (the Rimsky Mlada), I have a good idea how they should go.As other other commentators say, there are better individual recordings, such as anything by Fennell and the Eastman band.The organ pieces just don't do this music justice, although a real cathedral organ can come close, but that's beyond these discs.The Nielsen Aladdin March is the new one for me.Berlioz by Solti is great! Buy it! 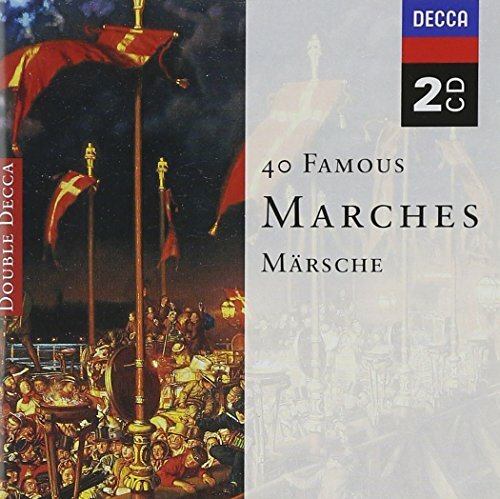 I am impressed most by the variety in 40 Famous Marches on 2 CDs, a Double Decca release.The performers include Philharmonic Orchestras, a Brass Ensemble, Chamber Orchestra, organ, Symphony, and for nine selections, the Wiener Philharmoniker.I am not sure if the word schmaltzy ought to be applied to any of this, but the Wiener Philharmoniker often exhibits a unique sound which is not quite the same as any of the other selections.The final five selections are all performed by the Philip Jones Brass Ensemble under Elgar Howarth in ADD/DDD format in 1983 and 1985.Two of those five are rousing marches by John Philip Sousa, another called `Entry of the Gladiators' is typical of songs played by live bands at circuses, and the remaining two are from movie soundtracks.`Colonel Bogey' is famous from the movie about British prisoners of war building a railroad bridge for the Japanese in World War Two, the Bridge over the River Kwai. 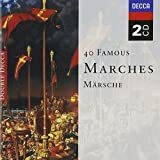 40 Famous Marches - a great collection!! 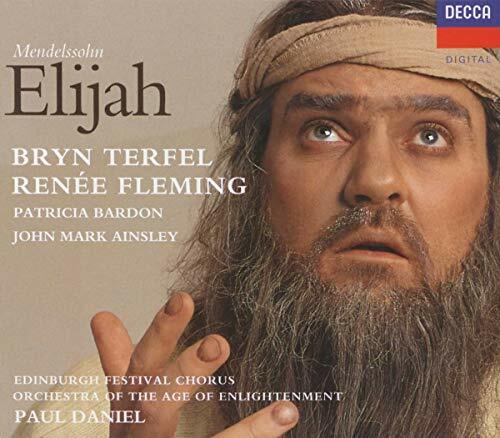 I've heard a lot of performances of Elijah, a well-crafted work that used to be more popular than it is these days, and this is an extremely good one. The musical direction is to the point, Fleming and Terfel are at their best, and the other soloists are extremely good. (Although I wonder if they originally tried to get an alto better-known than Patricia Bardon.) 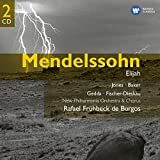 I'm also glad that there are enough soloists on hand: Mendelssohn asked for at least 8, and older recordings that make do with 4 (turning all octets into choruses, for instance) seriously distort his plan. 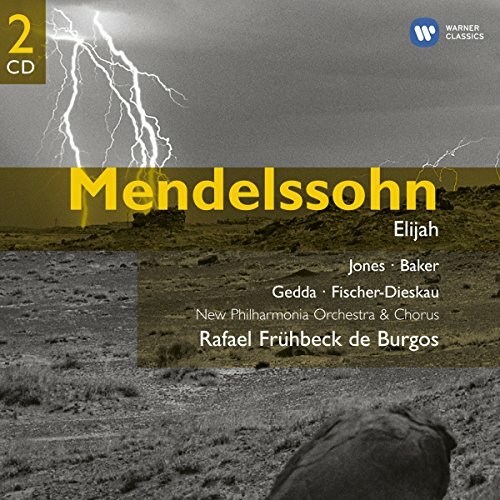 I've heard many fine performances of this, the Mendelssohn masterpiece, both live and recorded, and THIS recording is the quintessential presentation. I've heard this sung in German, and I've heard it sung in English. And, no matter which of the two this is sung in, there is no finer performance anywhere. From the opening, with Bryn Terfel bursting force with the most power I've heard from him to date, to the defeat of the prophets of Baal, to the plea for Israel, to the final praise of God by the children of Israel, this work never lets up. Regardless of the pitching of the instruments or how Mendelssohn would have heard it, there is no doubt in my mind that he most certainly would have been enthralled with Terfel's performance. Terfel is, no question, the best there is in the world of classical bass-baritones today. Renee Fleming delivers a magnificently gorgeous performance. John Mark Ainsley holds his own as well. I was particularly impressed with the work of Patricia Bardon, whom I'd never heard from before this recording. Paul Daniel is worth his salt, too. And, the cake, which all of the soloists and the conductor are the icing for, is the combination of the Edinburgh Festival Chorus and the Enlightenment Orchestra...these are simply wonderful! They are so dramatic, articulate, and involved. 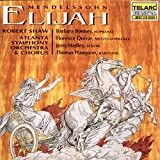 If one is in search of a recording of "ELIJAH" by which one wants to hear the way it was meant to be performed (with intensity, emotion, fervor, and energy), then THIS is THE recording to pursue. A Dramatically Intense, Moving "Elijah"